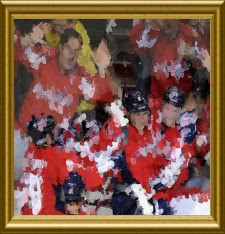 With the hiring of new coach Dale Hunter, there has been a lot of talk about the odd man rush. Hunter wants to make the OMR a thing of the past in Washington. 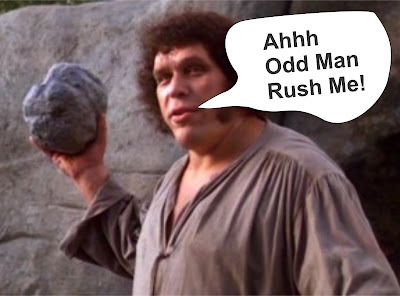 So what exactly is the odd man rush? It sounds to me like an odd man rush is when there are 3 offensive players to 2 defensive players, or 2 offensive players to 1 offensive player. This is what we in the sports world call a fast break. Not an odd man rush. 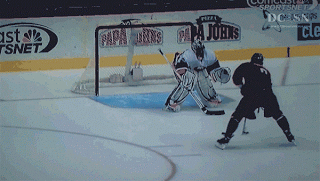 A 3 on 2, or a 2 on 1. Not an odd man rush. Honestly "odd man rush" is the worst phrase I've encountered in hockey so far. Blah Blah scored on an odd man rush. Does that even sound like a thing? Maybe in the Princess Bride, but not professional sports. So if you are reading this basketball inspired blog, this post will probably be the last time you read the phrase "odd man rush". I will call it what it is. A fast break, or if it happens on a turnover, a 3 on 2 break.